Pharma Franchise For TAMIL NADU Region. Valcret lifesciences has wide distribution network throughout the country. Acekinetics Healthcare Pvt. Ltd. has been promoted by persons of eminence in the field of Pharmaceuticals Industries. Valcret lifesciences is dedicated for providing wide range of Quality, Cost effective and New molecules. Maximum Product is D.C.G.I. approved. Valcret lifesciences offers the Promotional Material like Visual aids, Product card, M.R. Bag, Catch Cover, Reminder Card, LBL, Visiting Card, Order Book, Prescription Pad and Many Gift Item to support you in the promoting Products. Valcret lifesciences offers you for Franchisee for your area. Hoping for favorable business relation. I wish to receive a prompt and positive reply in this regard. We assure you our best services in terms of quality, delivery, and Prices. 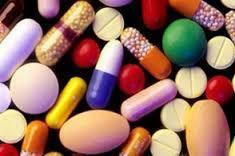 We are looking for Pharma Franchisee / Pharma PCD of our products in CHANDIGARH. If you have any query, please do let us know. Pharma Franchise For GUJRAT Region. We are looking for Franchise Opportunities, Business Opportunities, Pharmaceutical Distributors & Pharma Franchise Opportunity in following districts. Pharma Franchise For BIHAR Region. Pharma Franchise For KARNATAKA Region. Also for these district in North East India. We are looking for Pharma Franchise & Pharma PCD in following districts. We are looking Pharma Franchisee For ORRISARegion. Acekinetics Healthcare Pvt. Ltd. has wide distribution network throughout the country. Acekinetics Healthcare Pvt. Ltd. has been promoted by persons of eminence in the field of Pharmaceuticals Industries. We offers is dedicated for providing wide range of Quality, Cost effective and New molecules. Maximum Product is D.C.G.I. approved. We offers the Promotional Material like Visual aids, Product card, M.R. Bag, Catch Cover, Reminder Card, LBL, Visiting Card, Order Book, Prescription Pad and Many Gift Item to support you in the promoting Products. We offers you for Franchisee for your area. Hoping for favorable business relation. I wish to receive a prompt and positive reply in this regard. We are looking for Franchise Opportunities, Business Opportunities, Pharmaceutical Distributors & Pharma Franchise Opportunity of our products in ENTIRE SIKKIM. Welcome to valcret lifesciences franchise division. Under our expansion plan we are searching for pharma franchise/ business partners/ Distributors from financially sound unrepresented states/ districts of India. 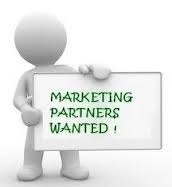 § Opportunity for Medical Representative, Area Sales Manager & other experienced from the same field. § Attractive packing & competitive price. § Catch covers visuals & training if required. We are looking for Franchise Opportunities, Business Opportunities, Pharmaceutical Distributors & Pharma Franchise Opportunity in following districts of MIZORAM.